Persona 5’s Vinyl is back in stock on iam8bit. The Vinyl was originally released in December of 2017 on the site with a limited (1,000 copies) six-disc Deluxe Edition for $175 and a four-disc Essential Edition for $100 respectively. This time around iam8bit has restocked the Essential Edition. Each disc is a different color of Red, Black, Grey, and White respectively with each one having a mask from one of the Phantom Thieves. The Essential Edition comes with 61 songs with over two and a half hours worth of music to listen to. After shipping costs, the total amount for the Vinyl is $107 if you go for the “Media Mail” shipping option, which is the cheapest. However, be aware that this option is uninsured so if anything happens to it up to its delivery you are out $100. If you are an international reader you will be happy to know that iam8bit delivers to most countries outside of the United States. Iam8bit does state on their website regarding duties and taxes that “since duties and taxes are at the discretion of customs office within the destination country, iam8bit is unable to include duties and/or taxes in the shipping price. Therefore, any additional duties and/or taxes accrued from customs are the sole responsibility of the customer.” If you have any additional shipping questions you can find that here. Persona 5 is highly considered of having one of the best video game soundtracks so this restock will deplete quickly. DualShockers praised the game in our review, saying it was one of the sleekest and most polished JRPGs in years. 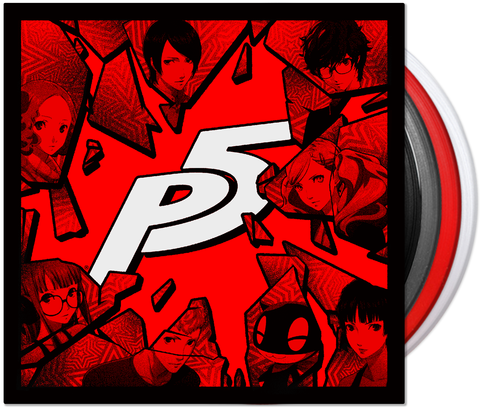 You can purchase the Persona 5 Vinyl here.